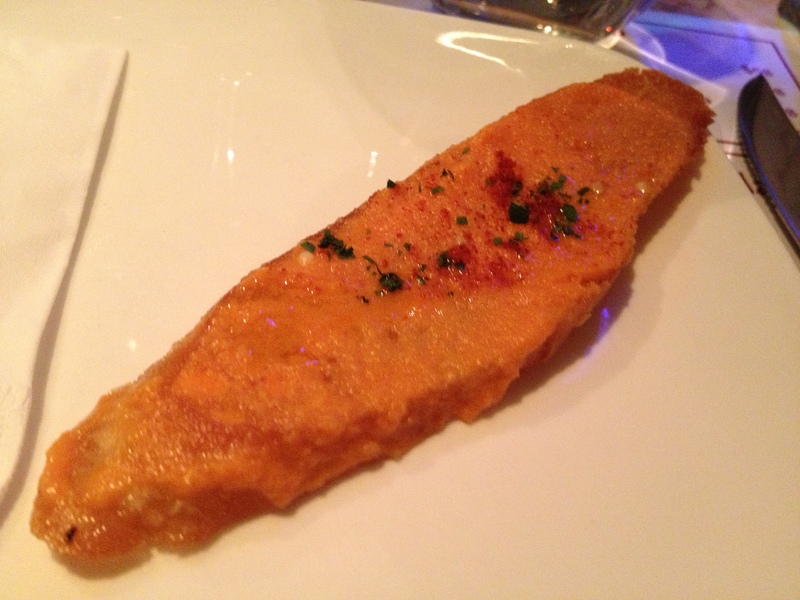 Starting with the pan con tomate or tomato bread ($45), a standard tapas dish, we knew we were in for a treat. Rustically presented, the bread had a great crunch on the crumb and crust, and was rubbed with garlic and a slightly sweet tomato paste and olive oil. This was simple but intensely flavoured. The charcuterie platter ($168) was next – we saw a full leg of iberico that had been cured for 36 months that we knew we had to have. 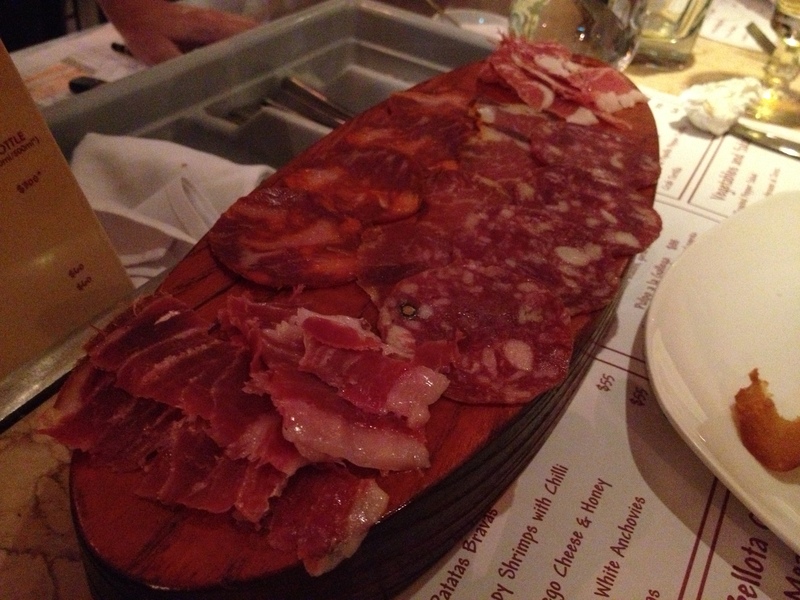 Jamon, chorizo and salchichon featured on the platter, cured for varying times and from different parts of Spain – including Jabugo, known for its jamon iberico. 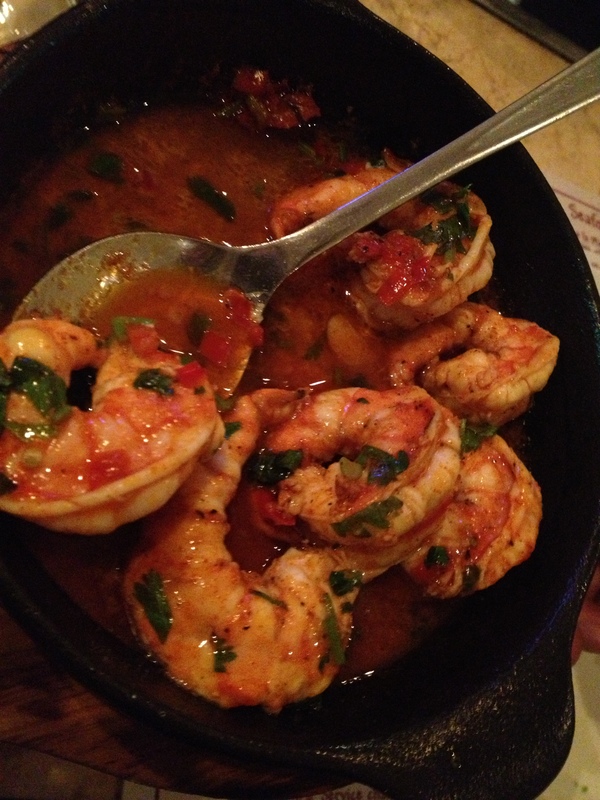 This was more than enough for the four of us, rich and a great taste of Spanish fare. 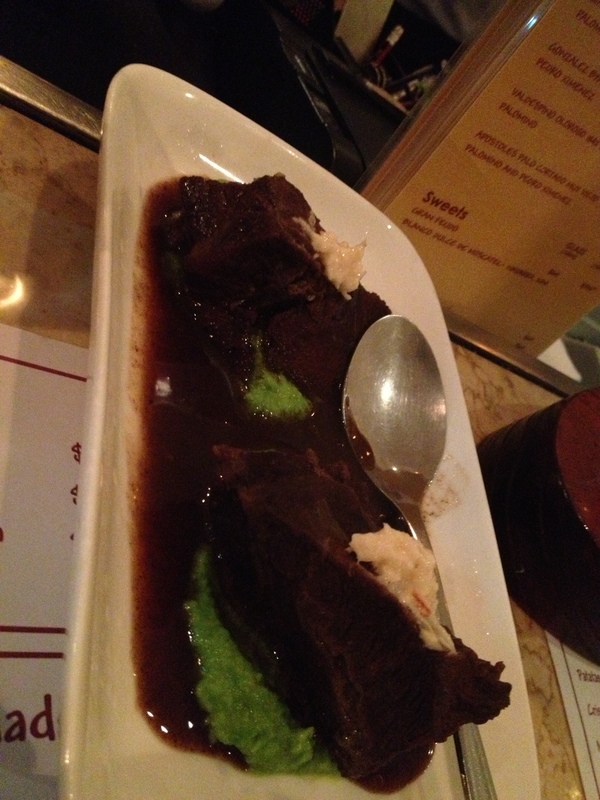 We then ordered the braised beef cheek ($88) – good for two – and perhaps this was the hit and miss. The beef cheek felt apart nicely and was very soft, paired well with a beautifully dark beefy sauce and pea puree, but the beef cheek itself was sadly underseasoned. However, the quince aioli was amazing, incredibly garlicky, which I love, and compensated for the lack of salt on that beef. It was a bit of an ‘argghh!’ moment – don’t forget el sal, pal! The final dish was on the Tapeo specials, and I really wanted Andrew to try morcilla or the Spanish blood sausage. It is the only type of ‘black pudding’ that I actually love to eat, as it doesn’t have that overpowering irony/bloody taste. 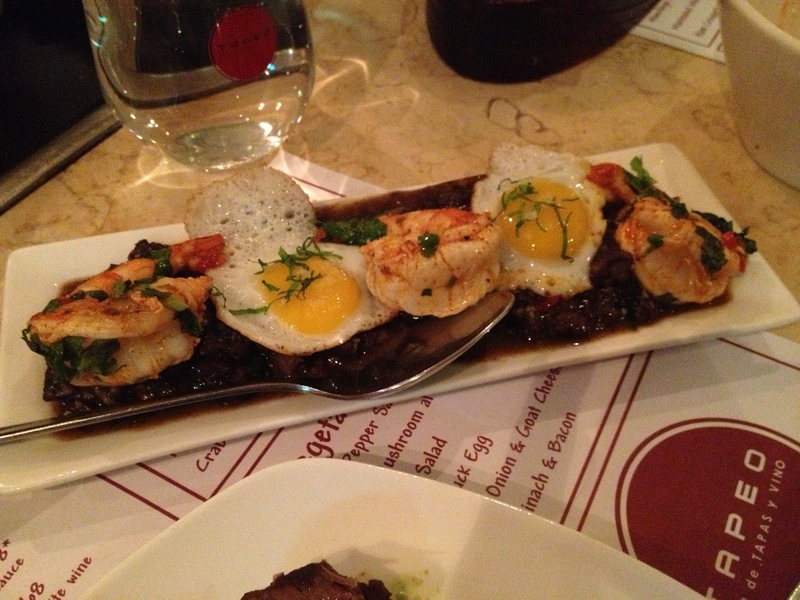 This morcilla in this dish was very mild, but seasoned perfectly and topped with prawns and pretty little fried quail eggs. It looked quite fancy, but not at the expense of flavour. In all, a boldly beautiful dish, and I have a lot of faith in their specials after this! So, that’s all for my rave. I am definitely a fan of Tapeo – an authentic tapas bar in the heart of Central, with pricetags that won’t make you run in fear.